When Derwin Hannah moved from South Carolina to Baltimore, Maryland, 22 years ago, he couldn’t help but notice that things weren’t the way they should be. He noticed that the kids were playing in the street and that the local park, ABC Park, was being overrun with criminal activity and not being cared for. Derwin, who grew up in a large family of 10, wanted the kids in this Baltimore community to have the chance of experiencing the childhood that he had — a chance to play, a chance to feel a sense of belonging. After Derwin and his wife, Denetria, hosted their son’s first birthday party at ABC Park, they decided to take it upon themselves to bring the park back to life and give this community the opportunity to have a safe space. As a volunteer (on top of his job as a truck driver), Derwin has gone to ABC Park twice a day for the past 17 years to care for the space and serve as a leader for the community. Changing the culture of this place didn’t come without obstacles, but through persistence, buy-in from the community, strategic partnerships and a lot of love, ABC Park is now home to movie nights for the community, an annual kickball game, and sports programs with about 250 participants. The transformation that ABC Park has gone through under Derwin and his family’s care is incredible, but with very little funding, only so much can be done. 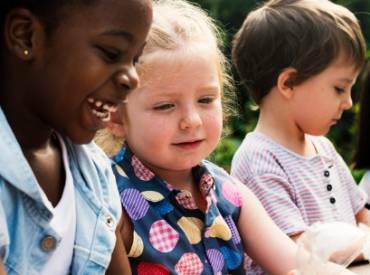 Each year, in the host city of the NRPA Annual Conference, a park is selected to be rebuilt and revitalized as part of NRPA’s Parks Build Community project. 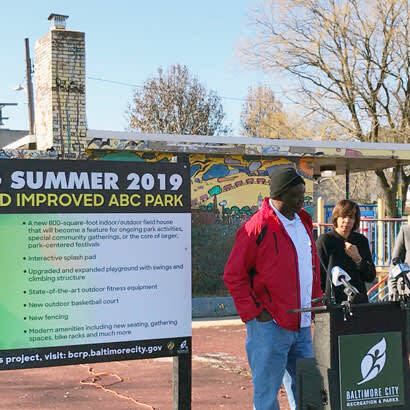 This year, NRPA will work alongside Baltimore City Recreation and Parks and various top-rated park equipment manufacturers — who donate services and equipment — to make ABC Park a place that the members of this community can be even more proud of than they already are. 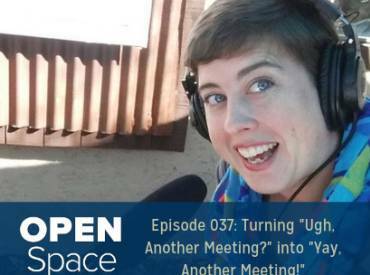 Check out the episode below to learn more about Derwin’s journey in changing the face of ABC Park and hear the excitement in his voice when we talk about what he’s looking forward to with this year’s Parks Build Community project. Click here to learn more about this year’s Parks Build Community project and watch a video from the groundbreaking ceremony. You can also learn more about Derwin and the 2019 Parks Build Community project in this article from the January issue of Parks & Recreation magazine.